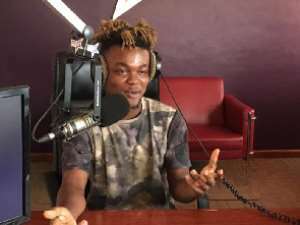 Fast-rising hip-life artiste Quamina MP has expressed his joy at his nominations in the upcoming Vodafone Ghana Music Awards (VGMA). Quamina said getting a nomination alone showed that his hard work was paying off. “It means a lot. It’s a very big deal. I never thought it will be this soon. I dreamt of being a big star, getting nominated, and winning an award,” he said. When asked what his plans are for the future he noted that he wants to keep working hard and gets his songs on the global market.